Deactivating Facebook account only suspends your account until you log back in. Your Facebook profile and data will be invisible to others until you reactivate your account, however, Facebook keeps it all in case you want to come back. Deleting, by contrast, permanently erases your account (though it takes two weeks to make that happen). Once that is done, you will be asked, "Are you sure you want to deactivate your account? Deactivating your account will disable your profile and remove your name and picture from anything you've shared on Facebook." How Can I Find Out If Someone Else Has Secretly Logged In To My Facebook Account? How Do I Know If Facebook Has Been Hacked? How Do I Monitor New Likes On Facebook For Contest Entries? 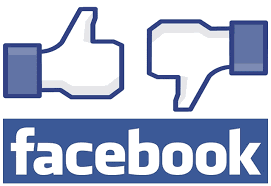 How Can You Double Your Likes On Facebook? You'll need to choose the reason why you're deactivating Facebook. You may also need to opt out of email from Facebook. To do that, you'll need to check if you want to Opt out of receiving future emails from Facebook. Make sure to check this if you want to stop getting invites from your Facebook friends. To complete the process, you'll need to click the Confirm button to deactivate your account.